This week, we combined art and music to make our own maracas! 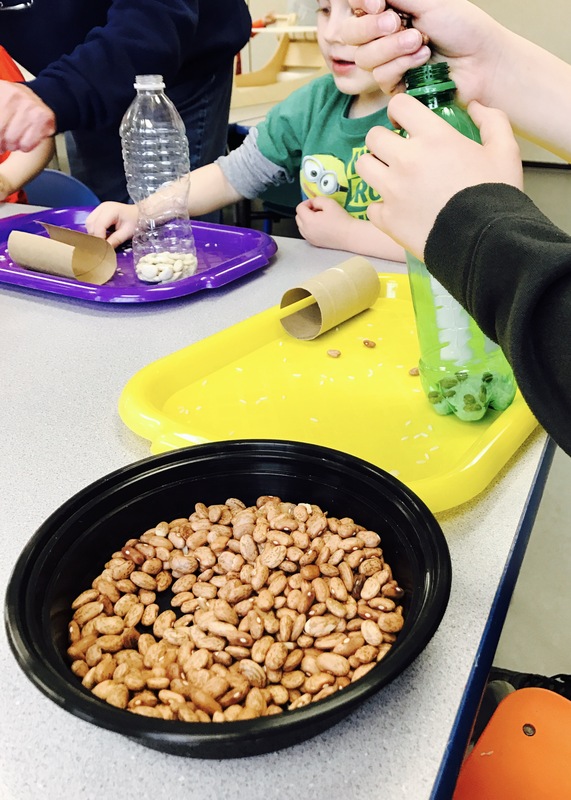 We set out plastic bottles and duct tape, along with bowls of beads, rice, lima beans, and seeds to use as filler. 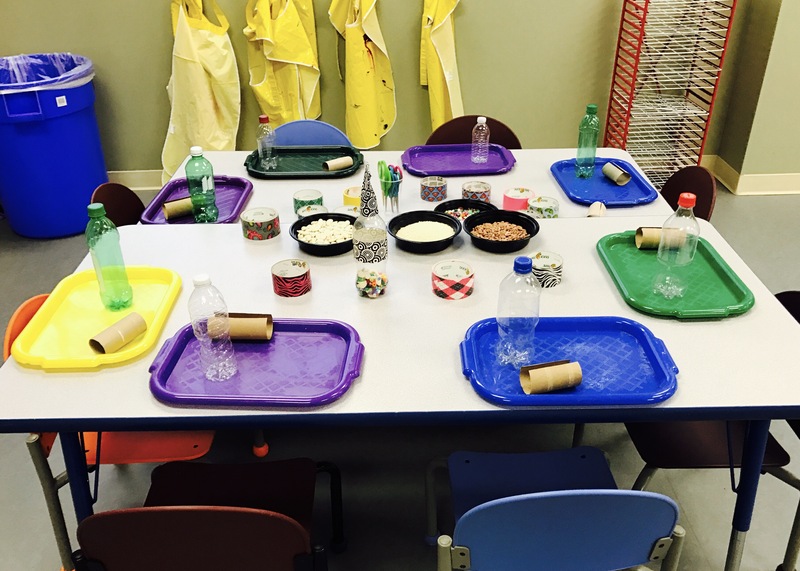 The kids picked the materials they wanted to use inside their maracas and put them in their bottles. After they added all the filler material they wanted, they duct taped the cap to their bottle (with some help from the adults). We had also set out toilet paper tubes cut in half lengthwise, and, if they wanted, they could tape these to the cap, fold the top over, and cover it with duct tape to make a maraca handle. Some of the kids chose to use more duct tape to decorate their maracas. 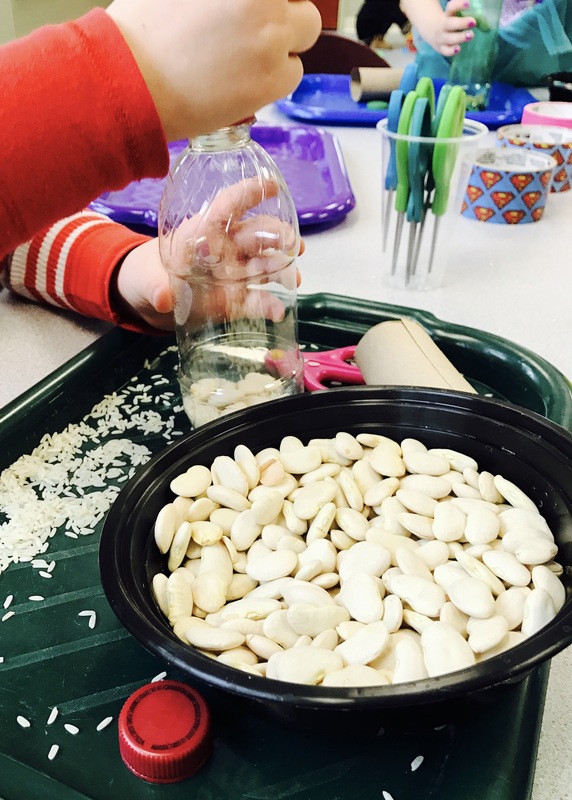 This was a great sensory activity with lots of different textures to feel and compare. It was also a good opportunity to incorporate hearing and sound in a craft.